Students from the School of Electrical and Electronic Engineering (EEE) are now taking most of their fundamental modules online, via the Learning Activity Management System (LAMS). EEE students tell the Nanyang Chronicle the ability to speed up and rewatch parts of their lectures is convenient and enables them to work at their own pace. However, compared to a physical lecture, they are unable to clarify their doubts with lecturers immediately. They also say that the online grading system, which does not have an answer key or offer step-by-step solutions, limits their understanding of some topics. They hope more can be done to improve their online learning experience. 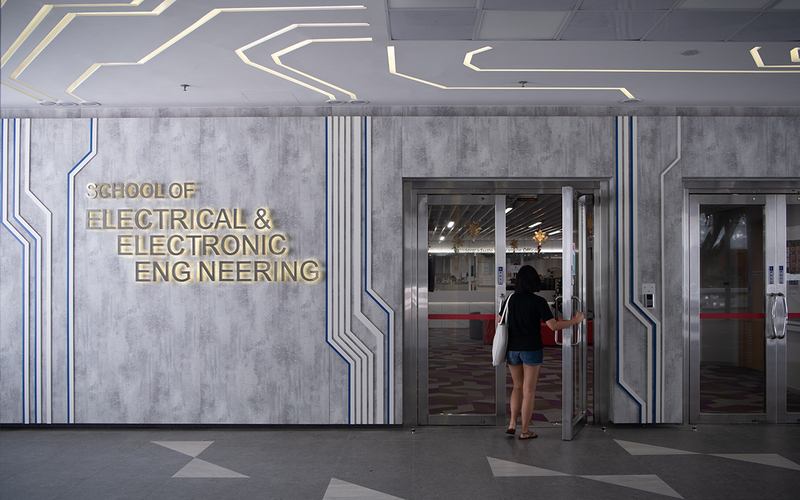 Acting Chair of EEE, Professor Tan Yap Peng said that course instructors review their online teaching materials regularly to ensure that learning outcomes are achieved in compliance with the Singapore Engineering Accreditation Board. As fundamental concepts stay constant over time, course instructors can focus on exploring new online teaching strategies to better engage students. EEE has also increased the duration of their tutorials to complement the online lectures.